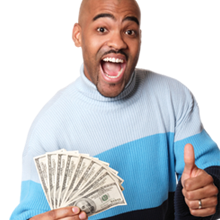 A cash advance loan from CashLoan.org is just a click away for Indiana residents. Once approved, your cash advance loan will land into your account in as little as one hour, so there's no waiting for funds. The application procedure is quick and easy, and you can get approved for a loan in as little as 90 seconds. It’s so quick and easy, you’ll be amazed. There’s no need to struggle until your next paycheck, Residents in most states can take advantage of CashLoan.org’s confidential, secure and reliable service by contact us or APPLY NOW online. Once approved, your cash advance loan will be in your account in as little as one hour, so there's no waiting for funds. The application procedure is quick and easy, and you can get approved for a loan in as little as 90 seconds. It’s so simple. Indiana does not heavily regulate the payday cash loan lending industry, however the agency must be licensed. Companies may charge any interest rate and fees that the consumer is willing to pay. Creditors do, however, have to abide by other provisions as stipulated in Indiana’s small loan laws. Borrowers may not have more than one outstanding payday loan at a time and although they may institute a civil suit, payday advance lenders may not pursue criminal action against a borrower.nce lenders may not pursue criminal action against a borrower. $500 is the maximum payday advance loan, excluding fees, allowed by law as long as the amount does not exceed 15% of the borrower’s monthly gross income. Loan terms vary, but cannot exceed a maximum of 14 days. Indiana law does not permit extensions or rollovers. Finance fees cannot exceed 15% for amounts borrowed below $250. For amounts borrowed between $251 and $400, the fees can be 13% and from $401 to $500, finance fees cannot go above 10%.